Great hotels attract great customers. Stepping out of The Mark in New York, I spied a most beautiful motor by the entrance. I was drawn closer by its supremely elegant lines and by its pristine coachwork. It was a 1962 S-type: the Bentley version of the Rolls-Royce Silver Cloud, which is the transport of your correspondent, back in Blighty. I was chatting to the chauffeur, when the owner (a famous jeweller) appeared from the hotel. It transpired that this was but one of his 140 cars. Clearly, this was a man of taste and discernment. And people of taste and discernment choose to stay at The Mark. Its red brick façade dates from 1926 and is in the manner of Art Deco. A pleasing touch of green is provided by the copper roof atop its corner tower. 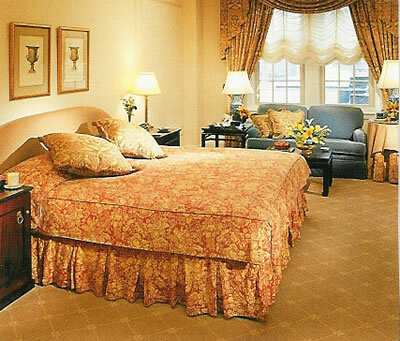 With 175 rooms and suites over its 16 floors, The Mark is, for these parts, modest both in size and height. And such modesty helps to preserve that easy exclusivity for which its larger neighbours have to struggle. The location is well nigh perfect: at the corner Madison Avenue and East 77 th Street. Both Central Park and the grand boutiques of Madison Avenue are therefore but a step away. And, most important for me, it is very close to the Frick Collection. I cannot bear to think of visiting Manhattan without at least one viewing of El Greco’s St Jerome in the sitting room of the departed plutocrat. Mr Frick was a connoisseur of the best, and it cheers me no end to be able to pay my few dollars to gaze upon the resulting assembly of priceless art. Not that my hostelry was devoid of interest for the aesthete, for The Mark has some decent paintings and some original Piranesi prints scattered about its public rooms. The main impression upon entering, however, is of sparkling marble and of members of staff who are smartly dressed, eager to help and – so important at a luxury hotel – numerous. Upon my arrival, they whisked me up in no time at all to the 6 th floor. Here I was shown into room 615, a ‘Grand Deluxe’ ($685 a night for two, breakfast extra). My apartment displayed the traditional approach to interior decoration which is found throughout the hotel. A mahogany cabinet with a Classical pediment contained the television. Prints of flowers adorned the walls. Five table lamps and a standard lamp provided soft and effective lighting. The abundance of space – comfortably accommodating a decent writing table and a two-seater sofa – was emphasized by a colour scheme of beige (the carpet) and green (the curtains and the bedspreads). Within the built-in wardrobe was my own safe. And there, too, were those wonderful items I love to find in American hotels – an iron and an ironing board. 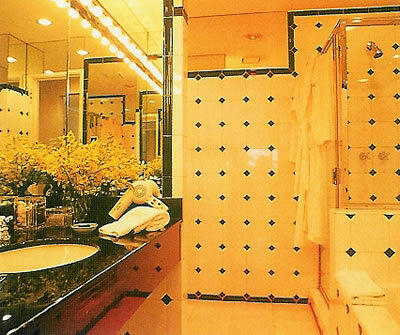 I like lots of mirrors in bathrooms: they not only multiply the apparent space but also – by the unexpected glimpses they afford of my expanding frame – frighten me away from gastronomic over-indulgence. My bathroom here had all the reflecting glass I could want, together with smart black and white tiles, a tub of impressive width, Molton Brown toiletries and five foot long white towels. This was a pleasant environment for my pre-prandial ablutions. Stiff collared and Savile Row suited, I sallied down for dinner. Mark’s Restaurant is a dark, clubby room on the ground floor. Gilt-framed mirrors hang on damson-coloured walls, waiters in short white jackets move this way and that, well-dressed diners sit in black armchairs on striped silk and Ella Fitzgerald purrs through hidden loudspeakers. It is all very civilized. As is the food which is brought from Chef Robert Albers’ kitchen. 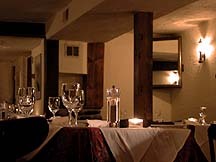 A four course set dinner is available for $55. My four course excursion into the brief carte cost $79. The opening mesclun salad with cherry tomatoes and a sherry vinaigrette was refreshing and to the point. Roasted artichoke ravioli had the advantage of a black truffle essence. Fillet of beef Rossini was the highlight of the meal, a most happy partnering of tender, tasty meat and well-cooked foie gras. After this a sharp and stylish conclusion was needed, and it arrived in the form of frozen tangerine parfait with roasted rhubarb. This last was accompanied by a taste of lovely Austrian beerenauslese from the great Alois Kracher (2002 - $22, glass). That it was available will tell you that Mark’s has a cellar of some interest. 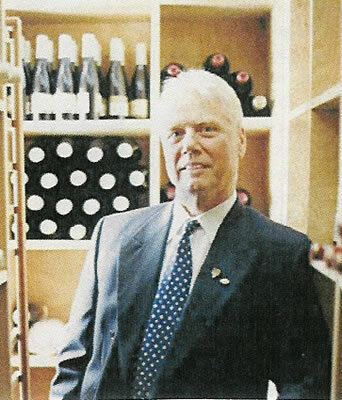 And for this we must thank Master Sommelier Richard Dean (pictured). He has worked hard to ensure that the list’s circumnavigation of the world is to good purpose. Thus we find 6 vintages of Tignanello (back to the 1996 at $195), 1997 Grange at $280, 1983 Latour at $400 and Guigal’s 1993 Côte Rôtie ‘La Turque’ at $950. 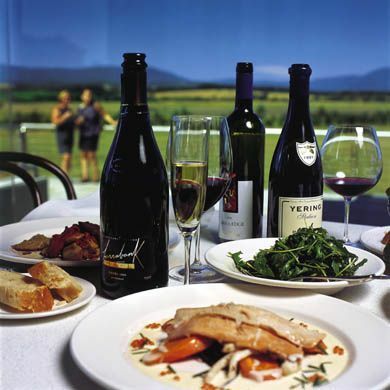 Mr Dean has also established a tradition of wine dinners – including some for small private parties. Thus, for example, ten people can have a vertical tasting of Beaulieu Private Reserve cabernet from 1964 to 1997, followed by dinner, for $15,000. From my own drinking, I will point you towards a New Zealand wine I had not tasted for five or six years. I remembered the Kumeu River chardonnay as firm, full-bodied and shot through with vanilla – and that is precisely how the 2002 ($65) showed on this occasion. 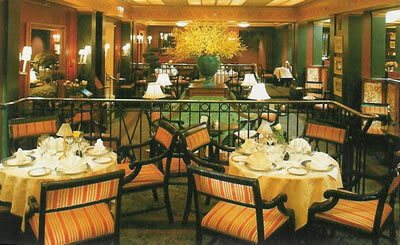 I returned to the restaurant each morning to break my fast, and found the charming Assistant Restaurant Manager, Ringo Lo, eager to ply me with grapefruit juice, Allbran and sliced banana, crispy bacon and poached eggs and numerous cafetières of coffee – all of excellent quality. And this might be the moment to comment upon the high standard of service I received throughout my visit. The members of his staff do the General Manager, Alain Negueloua, considerable credit. They pay attention to the small matters – like providing a ‘toast-cosy’ to preserve the warmth of my morning slices, or telling me the day’s forecast temperature when they telephoned with my wake-up call. Such details matter. And they matter particularly to persons of taste and discernment. That is why they – okay, we – like to stay at The Mark. Great hotels attract great customers. And The Mark is a great hotel. 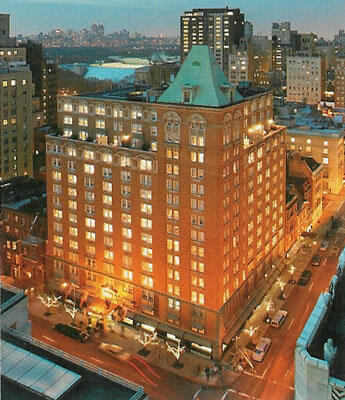 25 East 77 th Street (at Madison Avenue), New York, NY 10021-1792, U.S.A.